Tommies in Italy : a selection from my collection showing the different styles of dress used in that neglected campaign. 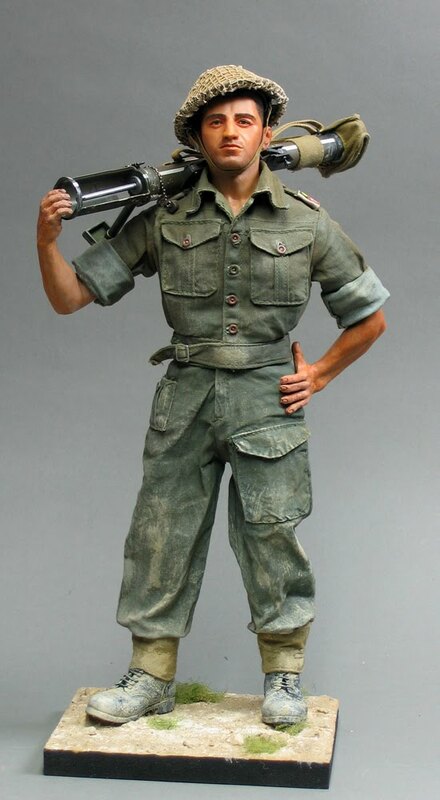 Most of the figures from the Italian campaign that we see in the 1/6th hobby are the inevitable Fallschirmjaeger: we rarely see the soldiers from the Allied side. 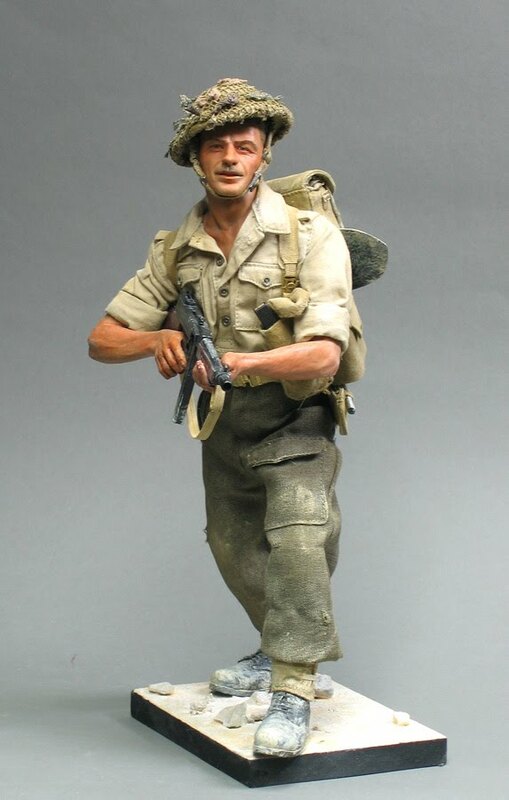 For many of the British, Commonwealth, Polish and French soldiers taking part in the long agony at Cassino, it was the Forgotten War, epitomised by the wonderfully cynical song, "We are the D-Day dodgers, in sunny Italy". The fighting was likened to the trenches in the Great War: in terms of conditions and casualties it certainly resembled it. Searing heat, torrential rain and appalling mud, and freezing winter snows, coupled with some desperately bungled Allied generalship up against a brilliant, epic German defence produced a battle whose ghastliness equalled any other in history. This Corporal is from an unidentified unit at Cassino : in shirtsleeve order insignia were often omitted. 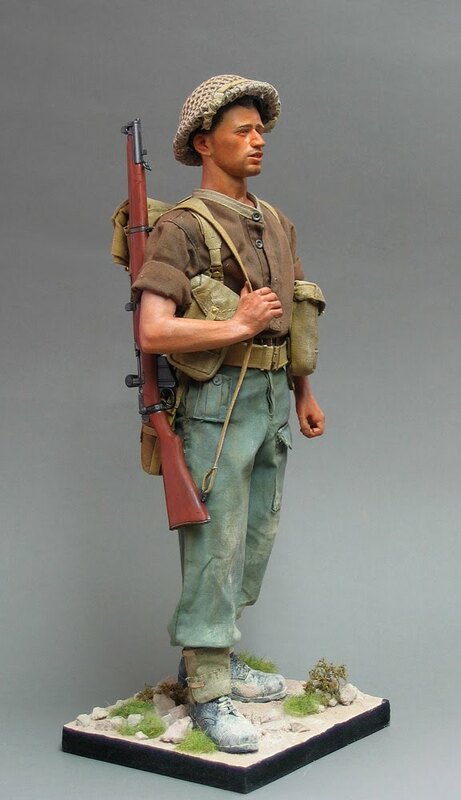 He's pretty typical of the frontline appearance in the hotter weather , with KD shirt worn over woolen BD trousers. The kit is entirely conventional. He's armed with the mid-production model of Thompson SMG, still in use in this theatre despite the availabilty of the cheaper Sten. 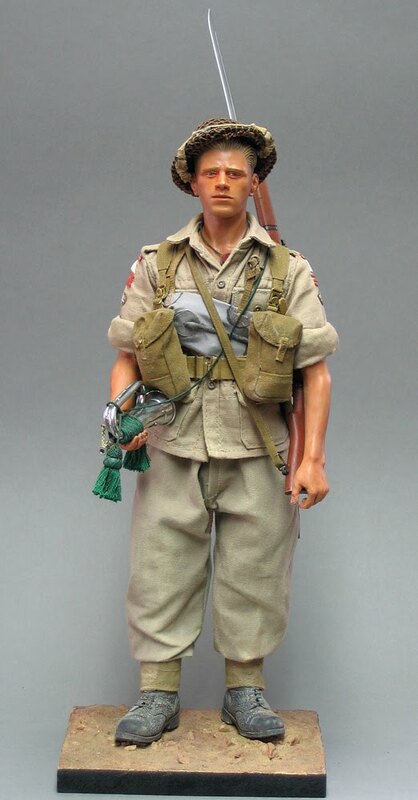 Frank got his VC for destroying a Pz.IV , and frightening another away , whilst under heavy fire : he actually fired the PIAT from the shoulder, an action which many thought deserving of a VC in any circumstances. The winter weather was just as trying as the summer heat , if not more so. Torrential freezing rain , snow , and frost so severe that many became medical casualties : trench foot , unheard of since the Great War , was a real problem. 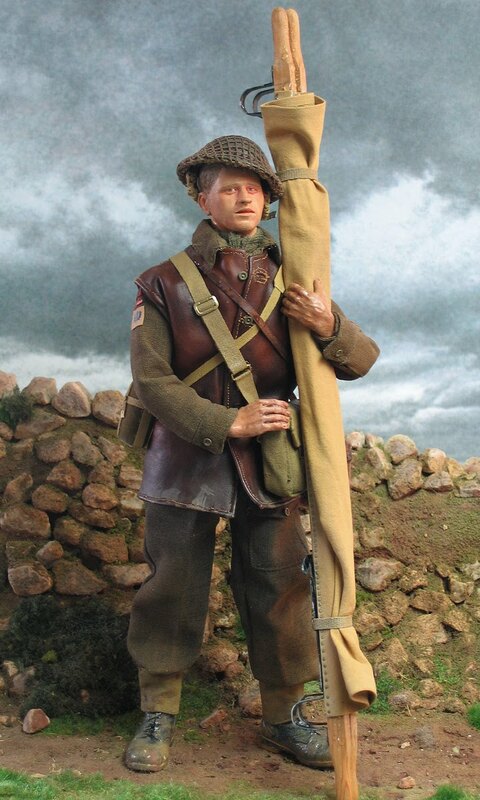 This chap is standing in the rain , wearing a leather jerkin over battledress . The exertion involved in carrying casualties was such that many men preferred this outfit to the waterproof gascapes that were available. The jerkin, equipment and stretcher are scratchbuilt. 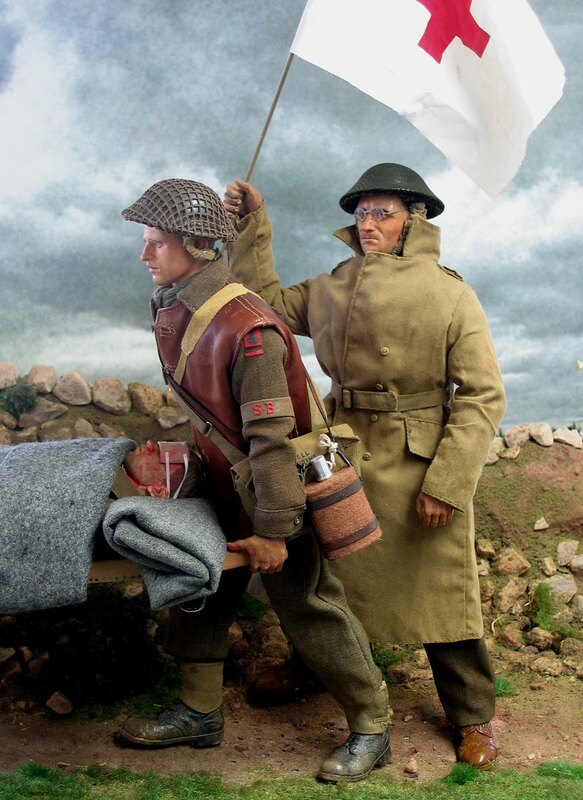 Here he carries off a casualty ( most of them from mortar fire ) assisted by the M.O ., who is waving the Red Cross flag. Both sides behaved admirably towards Medical parties in this campaign , often assiting each other during local ceasefires.